Summary : A period drama based on a famous Chinese classical novel, The Legend and The Hero blends history and fantasy into one splendid TV series with help of new CG technologies. 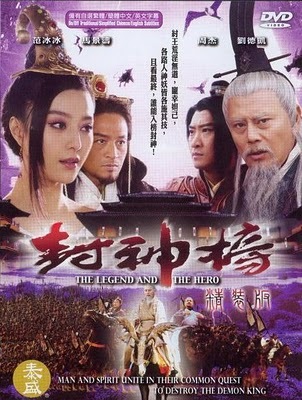 Steve Ma Jing Tao, famous for his various roles as ancient heroes, teams up with Mainland Chinese beauty Fan Bingbing (who has starred alongside Andy Lau in Battle of Wits). Giving a twist to the original story, Emperor Zhou (Steve Ma) is no longer a tyrant, and Da Ji (Fan Bingbing), not a wicked concubine. She seduces the Emperor only to fulfill her mission assigned by the heavenly god. Emperor Zhou falls in love with the gorgeous Da Ji, and he even threatens to attack her hometown in order to make her one of his concubines..